Do you ever wish you had a take it anywhere, throw it in the washing machine, store it in the pram or nappy bag playmat? Well now you can – and a uber stylish one at that! Peppermint Pinwheels playmats can do all those things. Designed to be just the right size for rolling up and stuffing in a nappy bag or bottom of the pram, these are perfect for parents and babes on the go. We absolutely adore the Yellow Flower playmat pictured above. 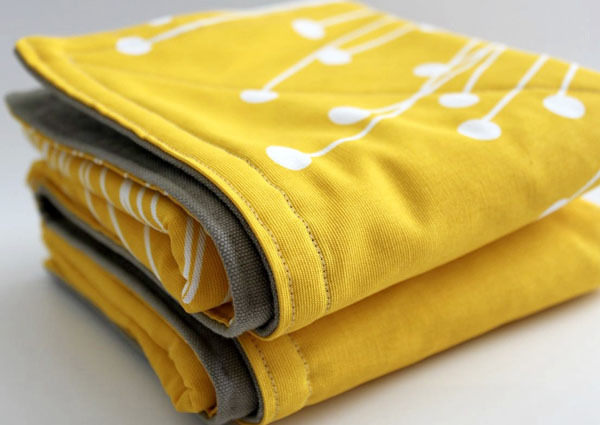 The bold and cheery yellow print is of canvas weight and the mat is backed with a heavier cotton so it’s perfect for a quick play on a hard surface or for whipping out in the park. 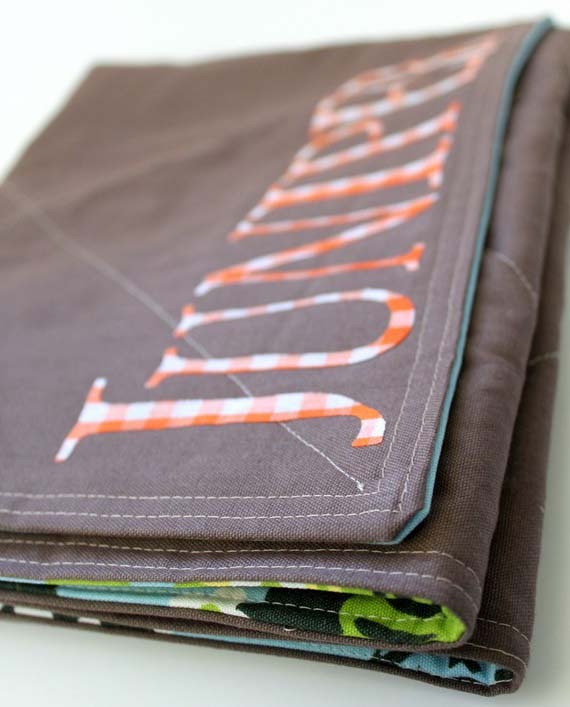 In addition, each playmat is softly padded out and quilted for extra durability. Peppermint Pinwheels even suggest using them as an emergency change mat, which I think is a fabulous idea. Personalisation is available with your chosen name appliquéd in gorgeous style across the back of your playmat for an extra US$12 (for up to ten letters). What an easy way to turn a Peppermint Pinwheels playmat into an extra special gift! To see the whole range of playmats priced at US$40, head on over to Peppermint Pinwheels, who will ship to Australia.